Sprawling across an area of 148.63 sq. 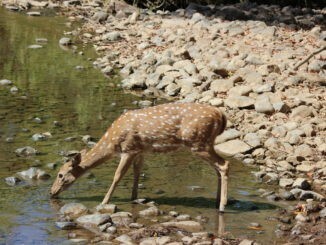 km the ‘Tipeshwar Wildlife Sanctuary’ is the ideal weekend getaway for wildlife lovers. This boulevard of natural beauty and undisturbed wildlife is tucked away in the hills of Pandharkawada town in Yavatmal district of Maharashtra. It is located on the intersection of 19°55’35″N and 78°26’20″E. 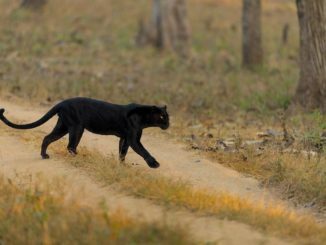 Tipeshwar Wildlife Sanctuary is no less than a ‘Green Oasis’ of Maharashtra. It lies at the southernmost part of the state adjoining the Adilabad district of Andhra Pradesh. It is of immense value from ecological and environmental aspects. Owing to this, the state pays special attention to its management and preservation. 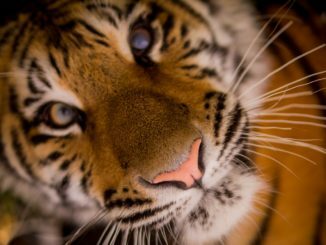 The management practices and prey base maintenance of the sanctuary have received much adulation and praise in recent times. Given the hilly terrain of the place, the vegetation cover varies greatly according to the altitude. The sanctuary area lies in midst of a number of villages. These villagers depend upon the forest produce like timber, firewood etc. for their livelihood needs. Moderate human activity is allowed inside the territory. The sanctuary gets its name from the local ‘Goddess Tipai’ standing near the Tipeshwar village within the sanctuary area. 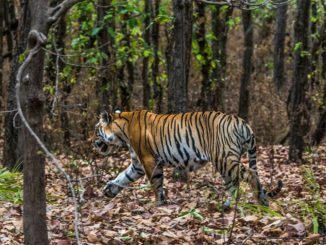 Tipeshwar Wildlife Sanctuary is a compact patch of dense forest cover. The major forest type here is the ‘Southern Tropical Dry Deciduous Forests’. Teak forms up to 60 percent of the forest composition here. You can also find Achar, Mahua, Lendia, Bhirra Tiwas and several other types. There is also a wide variety of herbs and grasses growing on the Tipeshwar horizon. These include Kunda, Kadmod, Guhar, Wide, Gokru etc. Over 250 species of Bamboo serve to make the sanctuary a repository of economical, medicinal, aromatic and ornamental plant varieties. Bamboo trees undergrow in the Teak dominated areas as large patches of Bamboo groves. 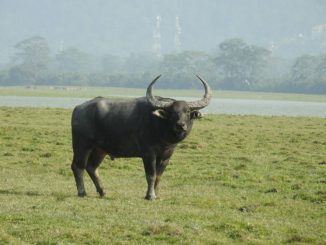 Tipeshwar Wildlife Sanctuary is home to many wildlife species including several endangered and endemic ones. 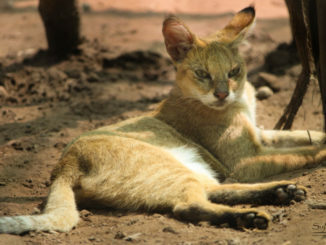 It has 29 mammal species belonging to 6 orders and 11 families. This is inclusive of Royal Bengal Tigers, Panthers, Sloth Bears, Pangolins, Four Horned Antelopes and others. The avifauna diversity of the place is its major attraction. 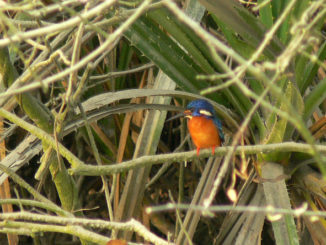 You can spot here more than 180 bird species belonging to 46 families of 16 different orders. The count is inclusive of 10 migratory bird species that arrive here every year and 9 endangered species that need special protection for their continued existence. The Sanctuary is also home to 26 reptile varieties. 6 of them are endangered and putting up the fight for their survival. 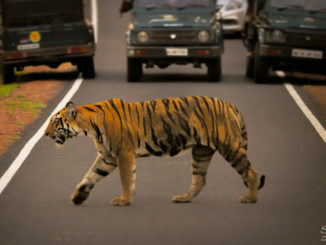 Tipeshwar Wildlife Sanctuary is proving of immense help for protection and preservation of all these endangered species. You will find here Indian Cobra, Indian Rock Python, Russel’s Viper and Checkered keel back. By Air: Nagpur is the nearest airport. 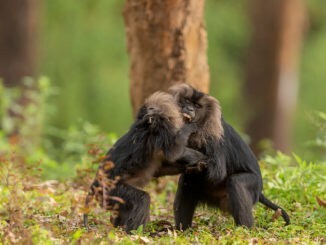 It is 170 KMs away from the tipeshwar wildlife sanctuary. By Rail: Amravati ad Badnera are in closest proximity to the sanctuary. Both are about 165 km away. You can easily get a road transport from the station to take you to the wildlife haven.